As your one-stop nursery shop, Bailey provides you with not only the best plants, but the best signage support, too. Effectively communicate to your customers through a variety of signage options and fixtures. Choose from ready-made content or customize to fit your needs. 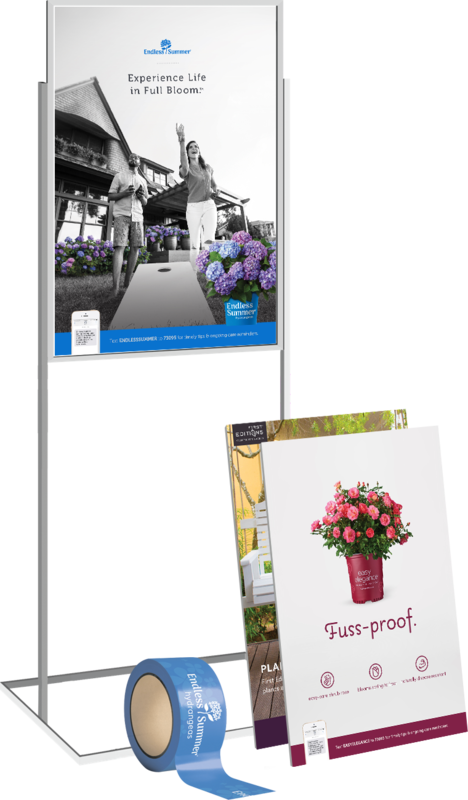 Choose from fixtures such as wind banners, corex signs and posters, billboards, horizontal banners, vertical banners, bench cards and bench tape. 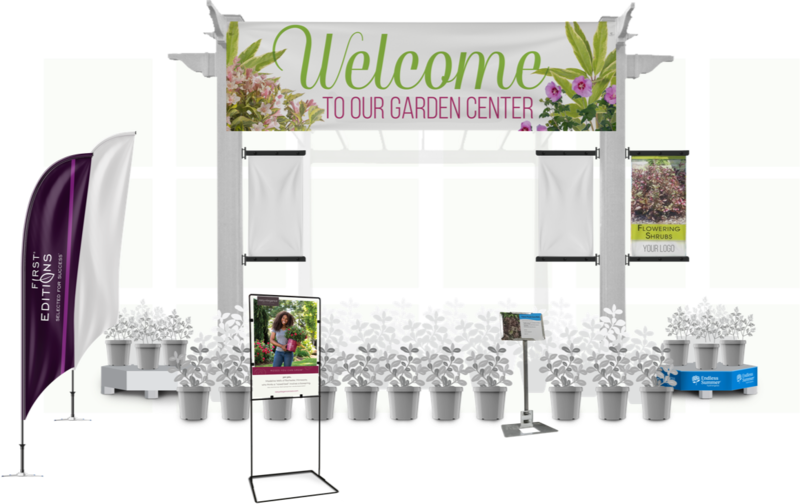 With eye-catching signs that both inform and sell, customers will be asking for your top-selling plants by name. We make it easy to customize signage messaging and add your garden center logo. Choose from dozens of design templates, formats and fixtures that work for any application.